Scentless chamomile is native to Europe and was introduced as an ornamental and/or a contaminant in crop seed. 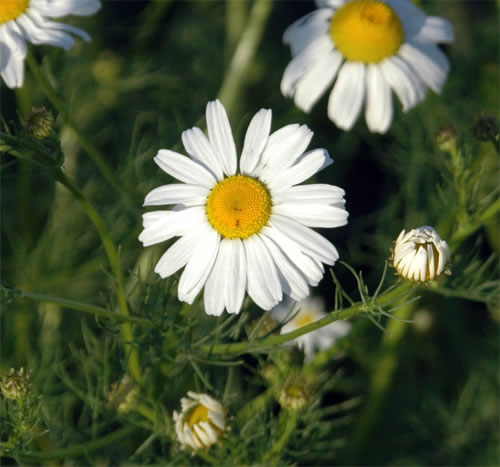 By the end of the 1800s, scentless chamomile became naturalized in North America. This plant invades open and disturbed areas, agricultural fields, and roadsides. 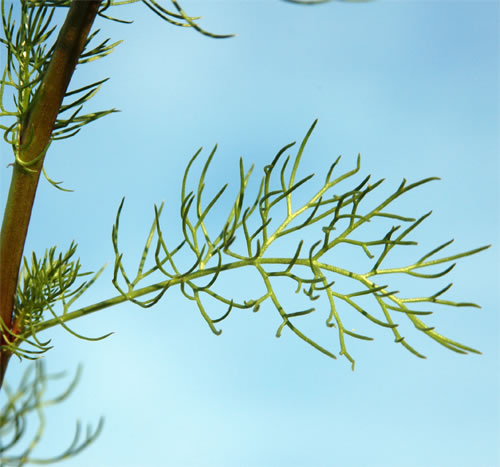 A single, robust plant can occupy one full square metre and produce up to one million seeds. 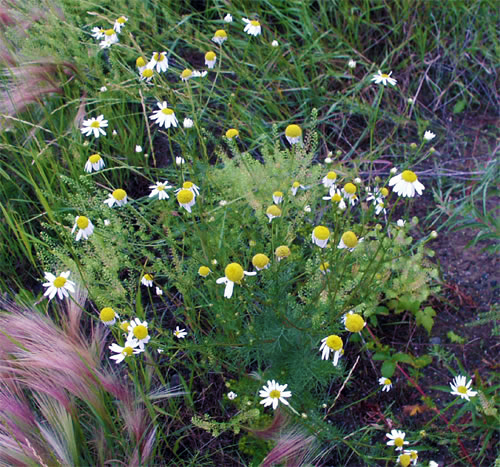 Scentless chamomile has 12-20 mm wide flowers that have yellow centers surrounded by white petals. The leaves are very finely divided and are alternately arranged along the stem. Stems are highly branched and grow up to 30-60 cm. Sometimes the stems are reddish in colour. Scentless chamomile is closely related to the chamomile plant used for tea but is scentless and odourless when crushed.